MannyRodP – Technology and "Mani-rod-pee"
Like a Phoenix rising … So does this blog. Simply put Life Gets in the Way. However no excuses though, I should be writing more. My hope is that this blog becomes more of a dialog and exploration of ideas rather than just my view. I do not have all the answers. I do have a lot of questions. And I believe the only way we get to answers and great ideas is by open communication, collaboration and contribution – the 3 Cs. I also believe in that in a “large sample size” is needed to validate hypothesis , and that my sample size is small. Let me start with a quick Bio of myself to show all my journey past , present and future. Manuel “Manny” Rodriguez-Perez is a Digital Business Lead and technology strategist at Dell EMC. Manny draws on 20 years of Enterprise IT experience to advise customers on how new technology, organizational transformation, and IT governance can enable business initiatives. He has a patent on secure Smart Grid / IoT infrastructure from his work at a leading utility company. Manny has led the infrastructure service delivery practice at a Fortune 200 and has architected a multi-data datacenter hybrid cloud solution to support ITaaS at a global security company. He also developed the initial Sarbanes-Oxley computing controls for a public company and successfully coordinated multiple audits. Manny’s current areas of focus are next generation platforms to support digital business and applying operations management methodology to improve IT delivery. OSCON 2015 – Lean In! Held in Portland July 20 – July 24 – OSCON is an O’Reily conference for the discussion of free and open source software. And in its 16th year – yes you heard me correctly – 16th year! – it appears to be the event that can help us in more traditional IT landscapes lean into the shift to microservices, open community development, DevOps, and chickens. The content is intriguing – ranging from practical , to fun, to esoteric, and plain sublime. Just check out these sessions …. A full schedule for your viewing pleasure is at http://www.oscon.com/open-source2015/public/schedule/grid/public. If both solutions have unknowns – which to me equals risk – then the question is how do we qualify the unknowns to see where the most risk lies. I built the table below as a way for me to think through the potential risks along the IT operational focus areas that I think are important to most. This is my thought process entirely and I am open to constructive criticism. Compatibility – Btw Infra and Application/Platform – I can see how the XtremIO (or other AFA) + Standardized Compute can be a concern due to vendor interop/compatibility issues and effort in tuning – however I see the Exadata as a much riskier solution given that there are strict requirements for DBMS version and potentially application code. And for those that would say that an engineered solution could be a “hammer” to force application/DBMS lifecycle, I would say in my experience these “hammers” are effective only when compliance requirements with financial penalties like Sarbanes-Oxley GCCs are the driver. To me there is much larger unknown in how we will manage application to DB to infra code dependencies in the future on the Exadata vs what we could be doing today in compatibility management. Patching/Code Upgrades – From what I have read the patch process for Exadata requires maintenance at three layers with three different tools – DB Hosts (Firmware / OS & Oracle GI / RDBMS) , InfiniBand Network, and Storage Nodes. I cannot confirm from Oracle if these are bundled into one single patch or if each is applied separately at the different levels. It appears from Oracle’s own documents and several blogs that the rolling patch process at a minimum involves quarterly updates at 3 different levels, could take up to 2 hrs per storage node (14hrs+ on ½ rack), and requires good Linux CLI skill sets? HOWEVER I need your help verifying. See website links below for the references I found. Note – To manage this complexity, Oracle has a tool called OPLAN that helps you with the patch process by summarizing the different patch strategies available. When you made your choice, Oplan tells you exactly what commands to execute. This will limit errors and reduce the time it takes to prepare. generating step-by-step instructions telling you how to apply a bundle patch in your environment. Still have to patch separately and run commands manually. Patching/Code Upgrades – If the Exadata is a single infra to platform stack, would we need an additional Exadata for patch and more importantly application testing? Unless you considering OVM – which to my understanding is not widely deployed – is there a way to partition a test environment on the production frame? And even if so would the interaction btw OVM, Flash Cache, and Storage cells warrant the need for testing a separate test Exadata system? One additional observation – We have strived to abstract platforms/applications from infrastructure for the last 5-8 yrs through OS virtualization bc we see great value in the flexibility while still achieving enough standardization. This trend will accelerate in the coming years as containers further abstract the platforms/applications from infrastructure by removing the dependencies on OSs. By marrying the infrastructure/OS with the platform under one code matrix and HW/SW architecture, the Exadata goes in the complete opposite direction to where the industry is going. The ins/outs of capacity and cost scalability are pretty well understood across both platforms. Risk is dependent on the ratio of standardized compute to Exadata X86 CPU. Depending on the initial vs long-term needs standardized compute may be slightly higher due to Oracle licensing model which assumes you can turn off Exadata cores, however how practical this si in the long run is unknown. Both solutions provide known and well established availability architectures. We all have experienced compatibility issues btw components from multiple vendors the infra stack. If you have preferred vendors that are partners of each other and have extensive joint support and escalation agreements then you will be in better shape. IBM, Oracle, and EMC come to mind. Exadata provides an engineered solution with a fixed support matrix delivered completely by Oracle. Our expectation is that there is very low risk btw infra components in the stack. Some have experienced compatibility issues with heterogeneous vendor stacks that require experienced resources and committed vendors to resolve. Additionally there is a fair amount of abstraction btw infra and platform layers so that supportability is at least good. Exadata will dictate strict compliance btw Exadata code levels and the Oracle RDMS version required by applications. Exadata marries the platform layer to the infrastructure/os layer and spreads the DB code throughout the storage, i.e. the Storage FW is also DBMS code? Known support and processes. Small patch test environments can be spun up virtualization or smaller footprints to isolate new code from production and from infrastructure. Most common storage AFA software is relatively easy to install and full regression testing is usually done with multiple vendor stacks. Patching relies on multi step process and LUNIX CLI skill set? Requires separate Exadata system to test patches? Exadata could require more patches than traditional stacks – quarterly x 3? Most large enterprise vendors have known and expected support and escalation processes. I am assuming that large enterprise vendors have the focused Enterprise account teams (Sales, Presales, and Support) needed to escalate and resolve issue. I welcome your comments on perspectives I might have missed. I’m back!! !…My new passion…Data Scientists, Advanced Analytics, and this BIG DATA thing! 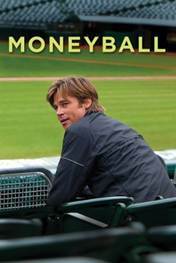 Finally got to watch the movie Moneyball, which I have been meaning to for a while. Have you seen it? If not definitely take some time to watch. It is the story of Oakland A’s general manager Billy Beane’s successful attempt to put together a baseball club on a budget by employing computer-generated analysis to draft his players. Based on the book “Moneyball: The Art of Winning an Unfair Game”. The movie gets you pumped up about the potential of analytics and big data. Potentially a good conversation tool when breaking the ice on analytics discussions. Forrester Research has come up with a cool interactive map that shows the current status of data privacy laws in countries called the Interactive Data Protection Heat Map. It heats up the debate of cloud privacy by showing a that US data privacy is on par with Russia. Even more disturbing is the “warning: symbol indicating possible government surveillance. If you want more privacy you better copy your data to Argentina or Germany, Okay Che! True wide-spread public cloud adoption by large enterprises will take some time. First the underlining service level and security concerns will need to be addressed. In the meantime, companies can work towards building expertise in cloud technologies and realize immediate benefits by building private IaaS clouds or evolving their current infrastructure to be more like a service. One of the key benefits of IaaS is the ability to scale infrastructure up and down fairly quickly improving agility and time to market, not to mention delighting internal customers. The goal here is to give internal customers the perception of almost infinite elasticity and build services that are close to on-demand. However, achieving this goal will require internal staff keep more infrastructure inventory on hand than they are used to, a proposition that goes against some of the cost benefits of IaaS. Some are meeting this challenge with off premise or external clouds and “bursting”. In bursting you procure additional compute resources from an IaaS provider, typically for a short period of time, while you add capacity to your existing private IaaS. Most of the conventional wisdom in this space is moving towards internal private IaaS coupled with external private IaaS bursting to meet elasticity demands. However there is another option that can help meet the inventory/capacity challenges; technology vendors can share the inventory risk by providing hardware and software upfront at close to zero cost and charging only when its put in service. HP had a similar model with their Intel server hardware a few years ago. They would provision a full rack of servers in your data center and charge you, per server, as you turned them on. There were never any delays due to HW provisioning. I refer to this as vendor inventory risk sharing and see it as a viable option to enabling elasticity and agility. One topic I don’t hear a lot about is how you get large of amounts of data into the cloud and between clouds. Maybe the assumption is that enterprises will ultimately migrate to “Everything as a cloud” (EaaC); presentation, computing, AND data in the cloud. Consequently, it is understandable how all the discussion is around SaaS, custom thin clients with PaaS, or applications on IaaS. However, wide enterprise adoption of the cloud will rely on the flexibility to use different cloud technologies and providers for different portions of the application and infrastructure. In the long run enterprises will need a mix and match strategy driven by the financial, security, and compliance constraints. For instance, cloud architectures should support having your data on site in your data center and the compute and presentation layer in the cloud. Cloud architectures should also support the ability to have your data and your compute on different clouds. A critical requirement of this flexibility is the ability to move potentially large amounts of data to and from clouds, since your data and compute resources may be in different data centers. Ultimately, cost-effective network connections are needed. However, typically the bandwidth needed in-between components is a constant and can only be optimized so much in code. In the end, the only option is to optimize the traffic in the network between the components. This is where WAN optimization technologies and products come in. WAN optimization technologies and products will use compression, caching, and de-duplication to reduce the actual bits going across the inter cloud network allowing enterprises to deploy smaller bandwidth networks and save operating costs. Without a serious offering of WAN optimization technologies and products large-scale enterprise cloud adoption will fail.